Oskar Schmidt (b. 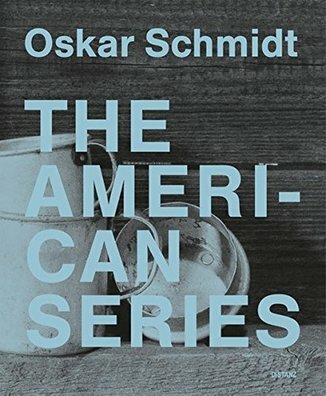 1977; lives and works in Berlin and Leipzig) analyzes, dissects, and restages certain aspects of photo history in his The American Series. It begins with the photographs by Walker Evans that were created for the U. S. Farm Security Administration (FSA) in the 1930s, during the Great Depression in the South of the USA. In his The American Series, Schmidt takes on these icons of classic photojournalism of the past decades, re-creates the scenery of Evan’s photographs in his studio, and photographs them anew with a large format camera. Oskar Schmidt’s astute and playful investigation of reality and its likeness, transforms a historic, social-documentary concept in his present-day artist’s studio. From the weathered wood and the artifacts of a spare life, to the dust in the dust bowl, the photographs seem to resemble their American relatives. And yet, they are constructions in the artist’s studio. Sceneries, which, compared to their precursors, inhabit a variation of the disposition or the perspective, and therefore provoke a look on the construction of history, as well as photography.